An inert second novel from Cuban-born Chicago Tribune culture reporter Obejas (stories: We Came All the Way from Cuba So You Could Dress Like This?, 1994, etc.) strains to illuminate the history of her native land and its Jews before and after the Revolution. Narrator Alejandra San José, whose family fled Cuba on the day of the Bay of Pigs, is part of the problem here. Humorless, self-absorbed, and long-winded—the defining moment of her father’s life is hinted at so often that the eventual revelations are neither surprising nor interesting—she turns what could be a sweeping tale of identity, exile, and loyalty into a turgid clash between faith and nationalism. Moving back and forth from the present to1897, when patriarch Itzak fought heroically in Cuba’s War of Independence against Spain, Alexandra describes her family’s struggle to practice Judaism and her own ambivalence about her faith and her homeland. Like many others, her ancestors converted to Christianity to avoid persecution, but never forgot their Jewish roots. After Itzak had Alejandra’s father Enrique circumcised, some of the family began openly acknowledging their faith, despite the increasing anti-Semitism of the 1920s and ’30s. Her parents now live in Chicago, where Enrique is an esteemed translator of literature, but she senses a mystery about him that transcends the sadness of exile. In 1987, Alejandra returns to Cuba as a translator for touring Americans, meets old relatives and family friends, and learns more about her past and her faith. 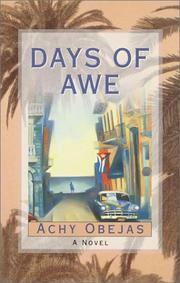 On further visits her sense of Cuban and Jewish identity grows as she observes the changes in Cuba after the Berlin Wall falls and describes how her relatives adjust to power failures, wealthy tourists, and rationing. When Enrique dies, Alejandra takes his ashes back to Cuba—where she will finally learn his long-dark secret from a childhood friend.